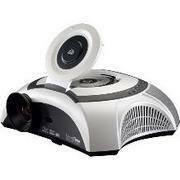 projector rental is perfect for home theatre applications, movie nights, or theatre in the garage/yard. Works well with one of our projection screens. Depending on the size of your crowd, you may need an external sound system. We have those too.